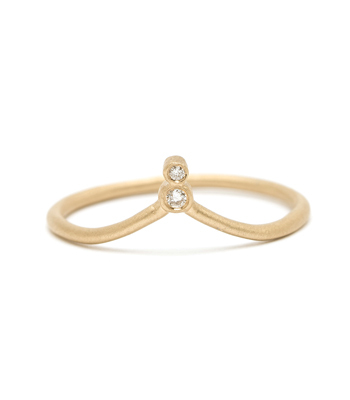 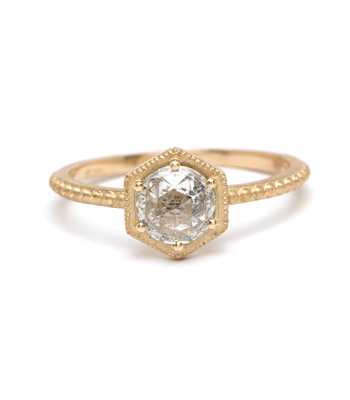 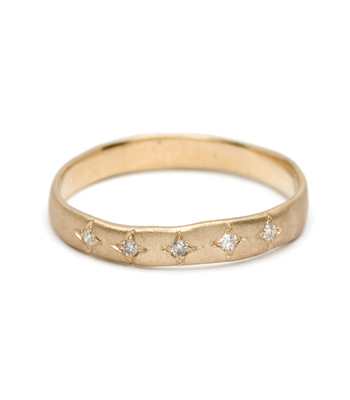 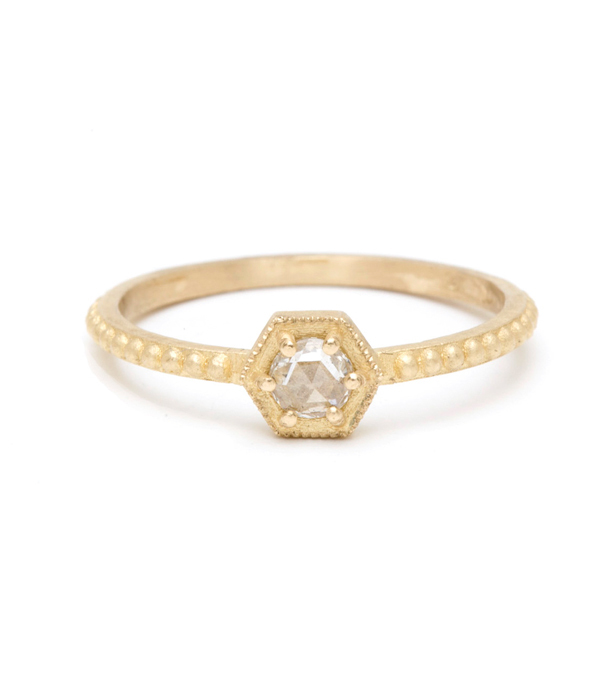 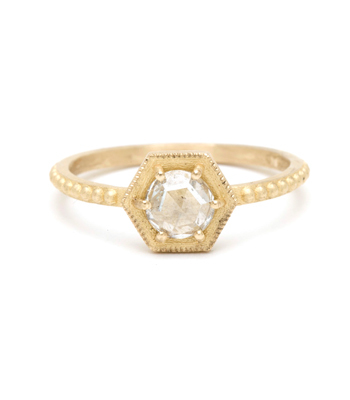 This charming little 14K gold stack ring features a white Rose Cut diamond (0.15ct) on a small hexagon design set East-West band that features a unique “nail head” detailing. 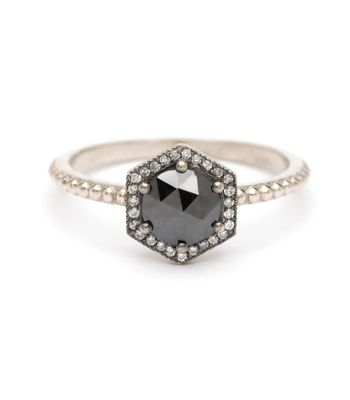 Sweet & edgy! 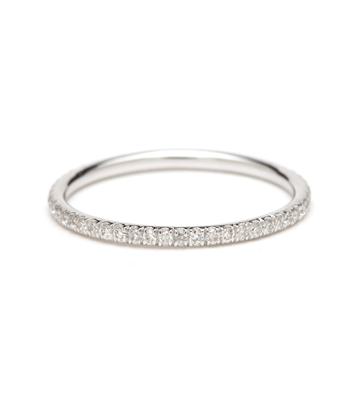 Perfect for the lady who prefers understated jewelry but still enjoys some sparkle.